Remember remember the 3rd of November! 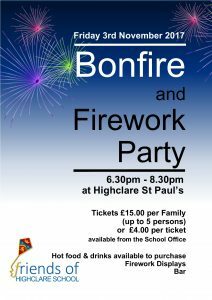 The FOHS annual bonfire and firework party takes place on Friday the 3rd November 6.30pm -8.30pm at Highclare St Paul’s. 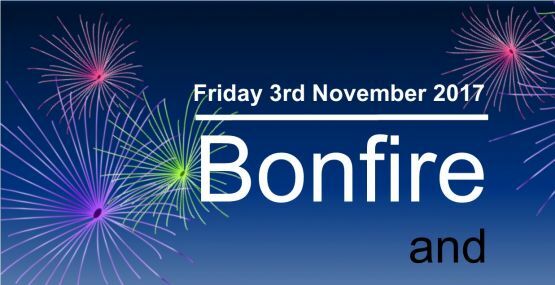 With firework displays and fun for all the family it is sure to be a fantastic night. 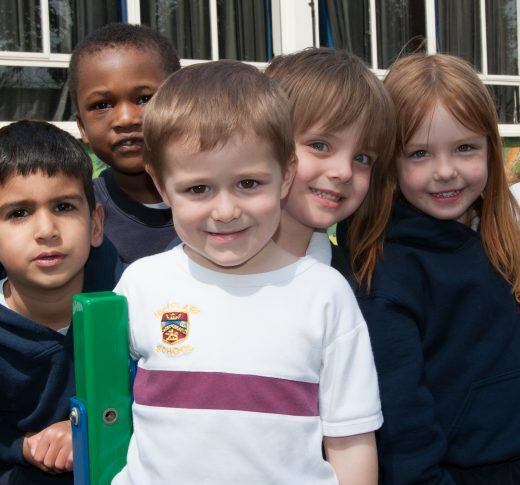 Hot food and drinks will be available to purchase including Mrs Moore’s famous toffee apples! Tickets are available now from the school office, we look forward to enjoying the night together.